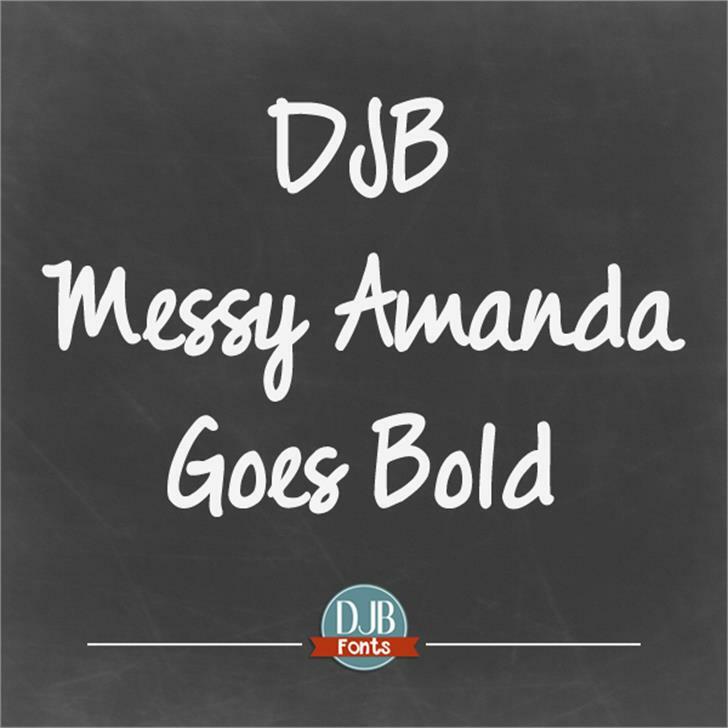 Messy Amanda Goes Bold - the realistic handwriting font that LOVES going bold. This font contains European language characters and an alternative s and r for teachers. Love all your fonts, but this one is my favorite you've done so far! Thank you! @nerdyblonde Thanks for the kind words! 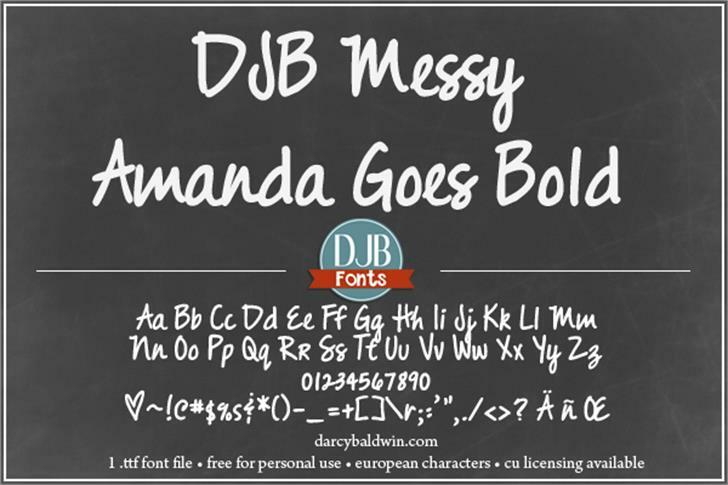 DJB The Way I Love You ® Trademark of Darcy Baldwin Fonts.